Most blogs consist of current observations and ruminations. I'll provide plenty of those posts. Current happenings. Quick reactions. Immediacy. Some of those posts may have a "stranger in a strange land" quality, with the rewards (e.g., laugh at the silly American as he struggles to pay with British coins) and the dangers (e.g., those silly Scots do it all wrong…except, oops, I misunderstood the culture) inherent in such posts. Coins in my pocket today: 1 pence, 5 pence, 10 pence, 20 pence, 50 pence, 1 pound, 2 pounds. I try to avoid carrying anything other than 1 and 2 pound coins, just as I used to abhor carrying around change in the U.S.
Banks are allowed to print their own variations of currency. Back side of the bills. I'm also hoping to write the occasional retrospective post, providing a broader view and at least slightly deeper insight. For example, we regularly get asked by friends and strangers about the details of packing up and moving to another country — how did we move our dog and cat, what belongings did we ship overseas or donate or store at home, how did we find a place to live, and so on. 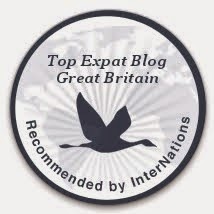 Now that we've made it through the process, I can look back with hindsight and glean the most important information, filter out or describe the frustrations, and perhaps provide some advice for newbie expats. Likewise, I have already visited a bunch of tourist destinations and will visit many of those same places again, either on my own or with visitors. For example, I've visited Stirling twice and Edinburgh three times, and I'll be visiting both cities again in the next several weeks. A retrospective post incorporating all of the visits to one city (or a particular tourist attraction) may be more interesting/useful than separate posts for each visit. The retrospective posts won't be definitive declarations -— this blog is not a thesis or a Rick Steves guidebook — but with luck they may be more revealing than a snap judgment written without much reflection. 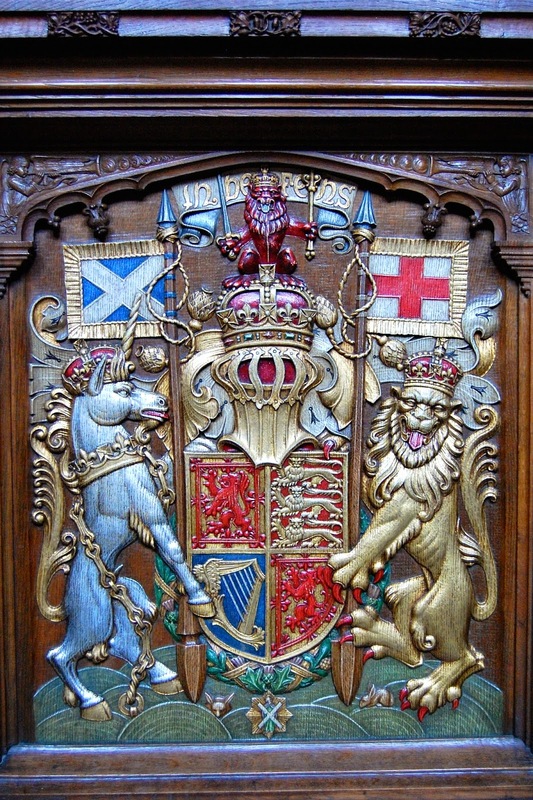 Carving on the Queen's seat in Thistle Chapel within St. Giles Cathedral, Edinburgh. What is the Thistle Chapel, created for the Order of the Thistle? A future post will explain it. Stirling Bridge, site of a landmark battle against the English in 1297. It's a picturesque bridge, though I am told it was wooden in 1297. More history in a future post. Whaddya mean, "Coloring Without Borders"?